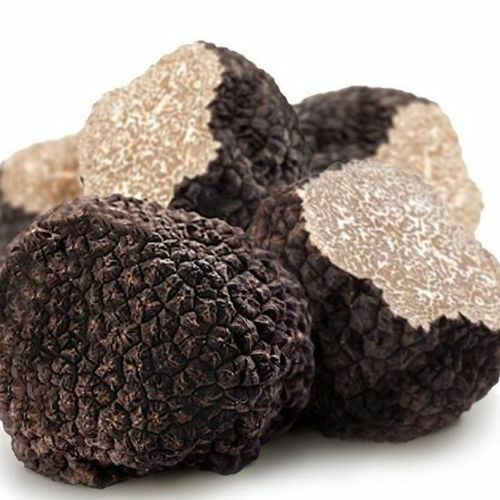 Black Summer Truffle (Tuber Aestivum) Availability: Feb-Sept.
•The most plentifully harvested truffle. The fruity body ranges from the size of a hazelnut to that of an orange. The skin is black. The odor is pleasant and ican be quite intense in wales , resembling that of hazelnuts and mushrooms . The main period for ripening runs from May to September. This truffle is commonly found in the United Kingdom , Europe, or wherever there is limestone terrain. Storage If you're looking to savor your fresh truffle for 1-3 weeks, then your best bet is to chill it, carefully, in the fridge. Make sure that its clean and dry—dirt plays no role in conserving freshness and flavor. Fill a container with dry rice and keep your truffle submerged in the rice. Yes-this is just like the theory for how to save an iPhone that's been dunked in water, but it's also emulating the natural underground habitat of a fresh truffle, which keeps them from drying out. Start by pouring a thick layer of rice into the container. 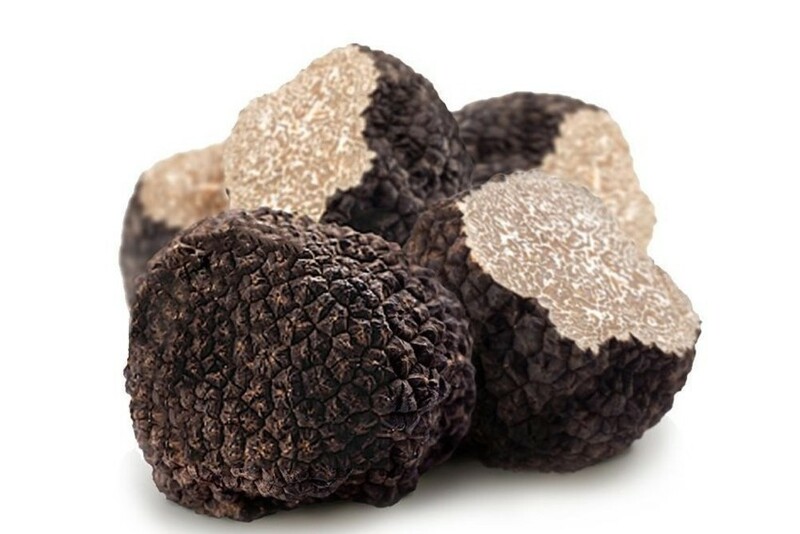 Place your clean truffles inside, set them a few centimeters apart from each other, and then pour more rice until your truffles are abundantly covered up. Seal the container and store it in a cool, dry, dark spot in your fridge. Next day delivery if ordered before midday Monday to Friday If you place an order on the weekend truffles will be posted on monday . Delivery price is ovenight monday to friday includes thermal packaging with ice pack .